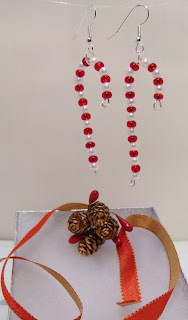 These candy cane earrings are so cute and "yummy" looking. 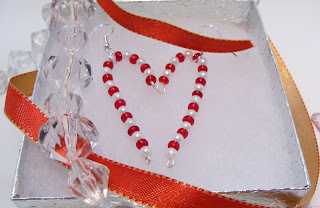 Made with red silver lined seed beads and small pearls. Great gift ideas for family, friends, teachers, co-workers and of course you can treat yourself. These are just darling dangling at three inches, sweet and sassy!! Your item will arrive in a lovely silver box with a ribbon or if you prefer, ask about free gift wrapping for the Christmas Season.